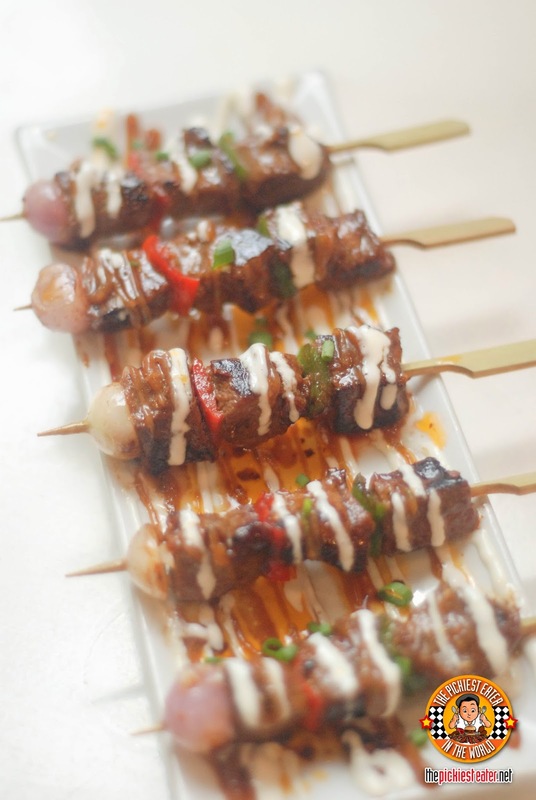 The Hoisin Marinated US Beef Skewer (P285) is something I'm sure Richie will enjoy. It's US Beef cubes marinated in hoisin and char-grilled. Then served on skewers with bell peppers and shallots and then drizzled with peanut sauce, chili oil, and aioli. The Sriracha Chicken Wings (P280) was also very good. 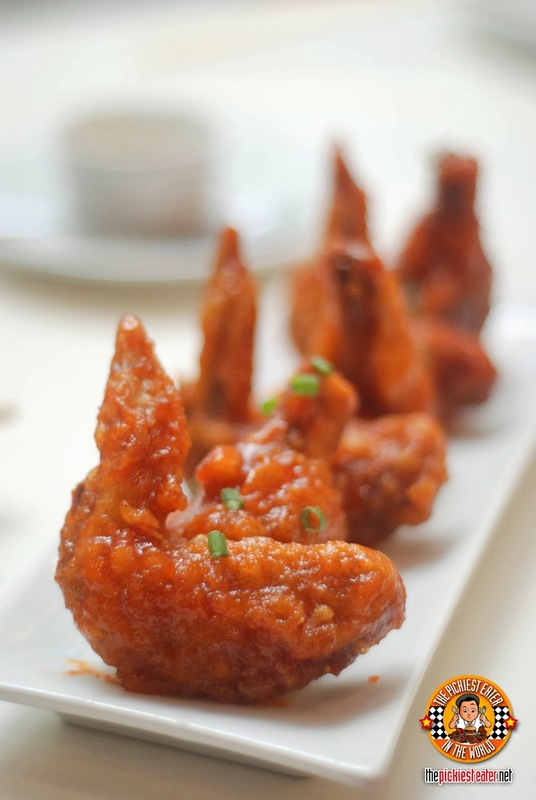 It's lightly crisp fried chicken wings, sort of like Korean fried chicken except that this is glazed with Kulinarya's special sriracha hot pepper sauce. So it's a mix of sweet, salty, and then a hint of heat. I really enjoyed it! This colorful refreshing salad is Kulinarya's Summer Salad (P250 solo / P480 sharing). 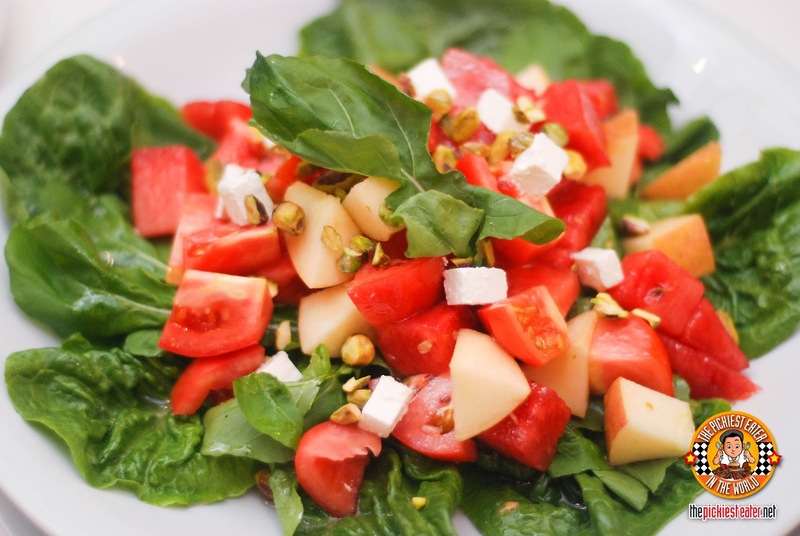 It's a salad made of refreshing summer fruits such as watermelon and apples, and then refreshing veggies like tomatoes, arugula, and then pistachio, and feta cheese, and honey-cider vinaigrette for the dressing. I really like the mixture of the saltiness of the feta cheese with the subtle sweetness of the watermelon and apples, then the sourness of the dressing. It's become of my favorite salads! Kulinarya's most recommended pizza is the Pizza Bianca (P460 / P195), which I thought was really good. 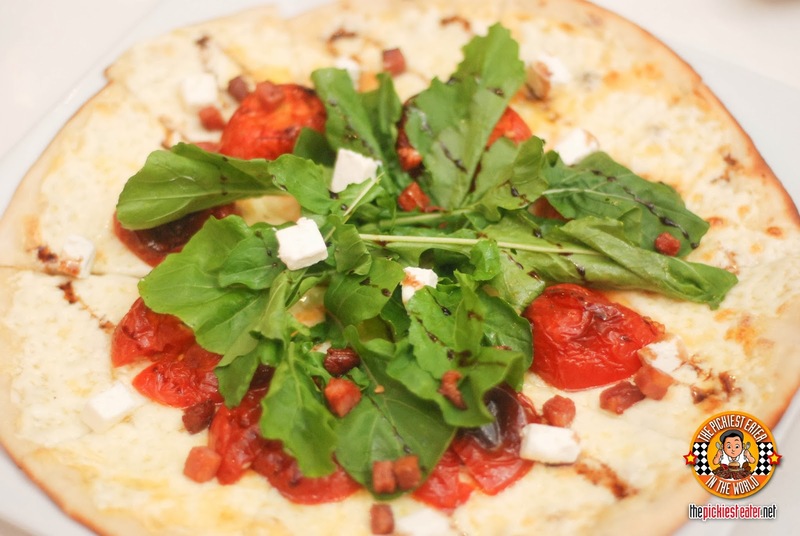 It's white cheese pizza topped with oven roasted tomatoes, feta cheese, pancetta, arugula, and then finally drizzled with balsamic glaze and white truffle oil to add that yummy and appetizing fragrance. I really like the simplicity of this pizza and the balance between the cheese and the greens. But if there was an option to add extra feta cheese, I would. I think I'll ask next time hehehe. 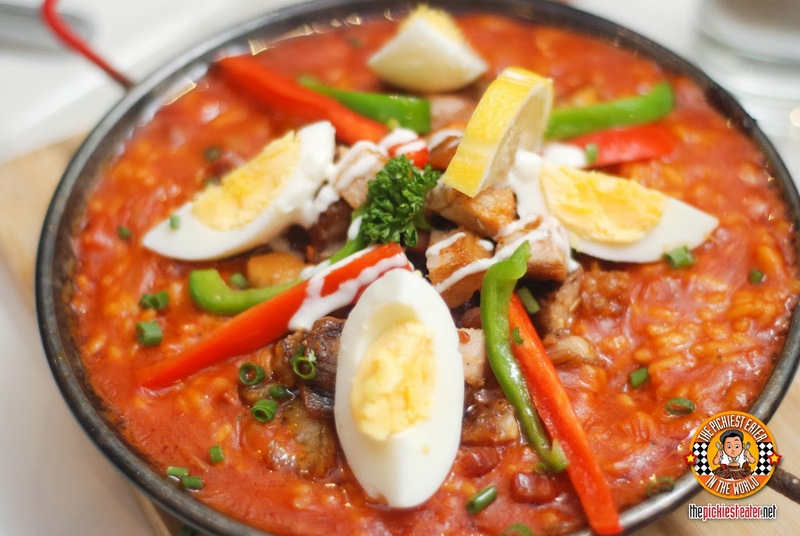 I'm still loyal with our Ninang Peewee's Paella, but what makes Kulinarya's paellas unique is that it's actually a paella risotto. More gooey. Being a risotto lover, I enjoyed this dish. The one in the photo above is the Crispy Pork Belly con Chorizo (P695). It's garlic infused and twice cooked pork belly plus chorizo that rests on top of this creamy risotto that's based on tomato-seafood broth with safron and paprika dulce. 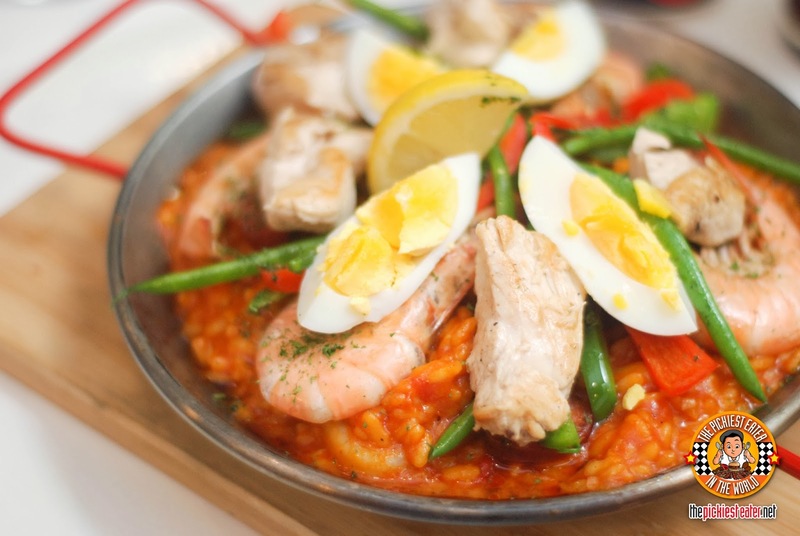 Next is the Seafood and Chicken Paella Risotto (P695) which has shrimp, chicken, squid, chorizo and veggies on the same tomato-seafood broth creamy risotto rice. 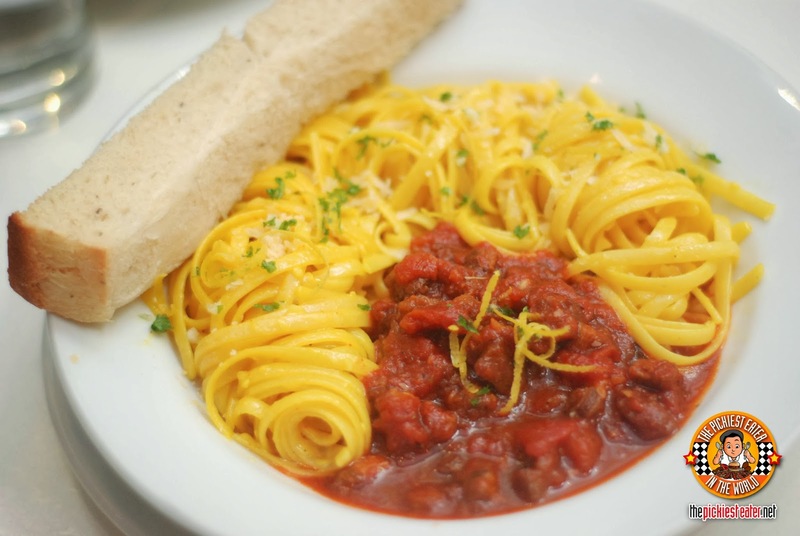 Another new dish that I really like is their new Linguine with Lamb Ragu (P350). Not only does it look delicious but it tastes great as well! It has that buttery taste. It's rendered lamb bits in an ossobuco style tomato and marsala wine sauce. And then it's topped with gremolata then served with saffron linguine. 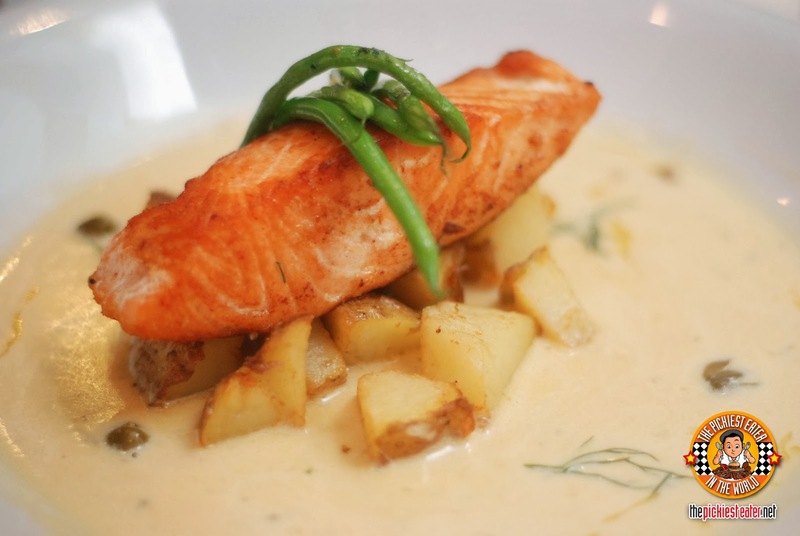 The Salmon Beurre Blanc (P495) is good and light and very creamy. It's salmon fillet with white butter cream sauce! Yum! And thenserved with capers, dill and lemon. 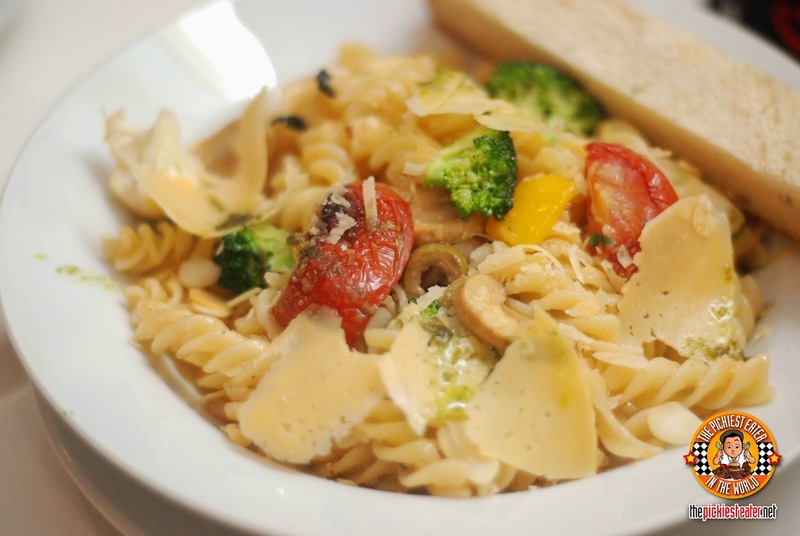 The Pasta Primavera (P220) has oven roasted tomatoes, fresh veggies,with nuts on fusilli pasta topped with slices of parmesan cheese. Good and healthy! 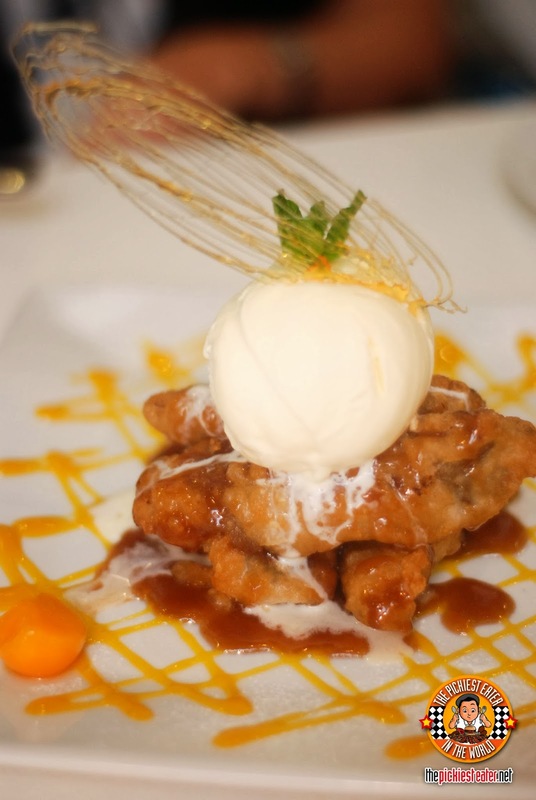 And for dessert, we had this very beautiful Suman Latik Fritters and Mango Flambe (P195). I like this because it's not overly sweet and the deep-fried coating doesn't seem to be oily. It's crispy-coated rice cake (suman) with flambeed mangoes. And then it's drizzled with coco jam, topped with a scoop of vanilla ice cream.